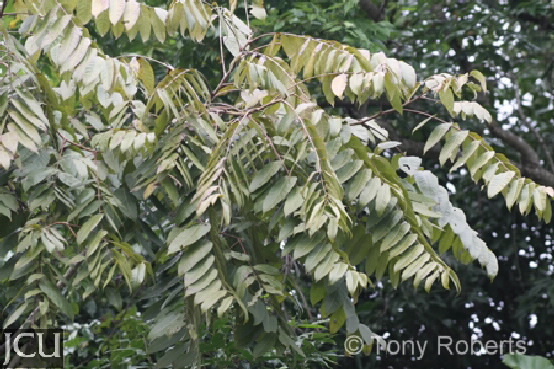 This deciduous species forms a large tree, the trunk and branches have mottled scaly bark and pinnate leaves with up to 17 leaflets, oblique at the base. The white flowers are in panicles, strongly perfumed. The fruit is a capsule about 2 cm long, seeds are winged.